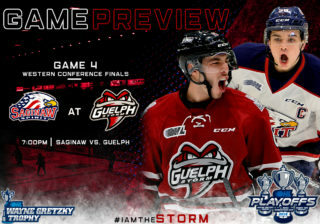 The Guelph Storm are proud to announce that they will host their 4th annual ‘PEVS PROTECTS Night’ presented by Linamar on Friday, February 15, 2019, when the Storm take on divisional rivals, the Kitchener Rangers at 7:30 pm at the Sleeman Centre. The first 1,000 fans in attendance will receive a special Pevs Protects T-shirt. 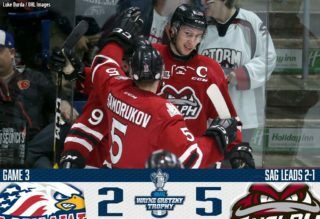 For tickets to Friday night’s game visit the Storm Box Office at Old Quebec St. Shoppes, order by phone 1-888-STORM-GO or by clicking here! PEVS PROTECTS was developed by former National Hockey League forward and Guelph, Ontario native Rich Peverley, and his family, in partnership with the Heart and Stroke foundation. The partnership aims to raise awareness and funds for AED purchases and CPR training right here in the City of Guelph. 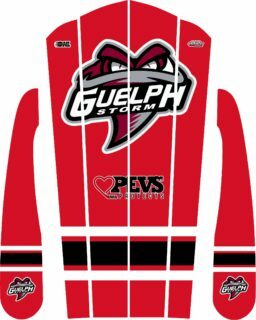 On February 15, volunteers will be on hand at Gate 6 collecting donations in support of PEVS PROTECTS and the Heart and Stroke Foundation. Information tables and a CPR and AED demonstration area will also be a part of the game night. Throughout the game, Rich will be engaging in a Meet-and-Greet and photo opportunity with fans. The chuck-a-puck fundraiser will be held during the second intermission, prizes include signed authentic autographed NHL jerseys from Jamie Benn (Dallas Stars), Tyler Seguin (Dallas Stars) and a Danby beverage fridge. 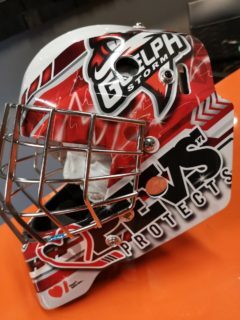 A silent auction will also be held giving fans the chance to bid on a one of kind PEVS PROTECTS decaled helmet created by RPM designs and game worn by Anthony Popovich on Friday and a Guelph Storm/Pevs Protects Muskoka chair donated by RPM Designs. The silent auction will take place at Gate #6 until the second intermission. 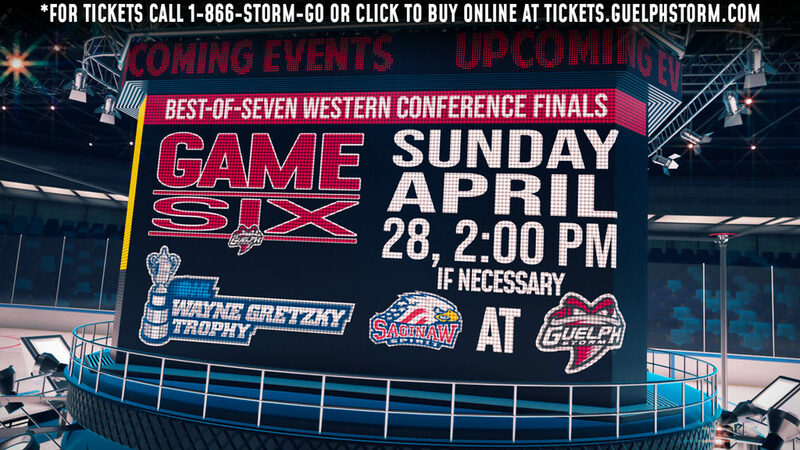 Born and raised in Guelph, Ontario, Peverley played minor hockey for the Guelph Reps (now the Jr. Gryphons). 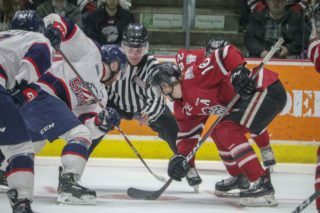 Drafted in the 6th round by the Mississauga IceDogs of the OHL, Peverley chose the NCAA. 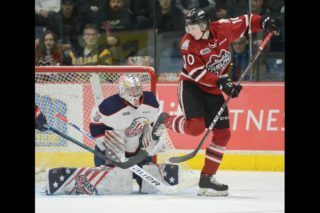 He spent four years with the St. Lawrence University hockey team before signing his first NHL contract in 2007 with the Nashville Predators. Rich spent eight seasons in the NHL as a member of the Predators, Atlanta Thrashers, Boston Bruins and Dallas Stars. On March 10, 2014, Peverley suffered a severe cardiac incident that led to his collapse on the bench in a game against the Columbus Blue Jackets on Monday, March 10, 2014. 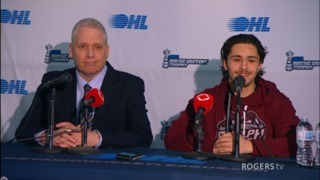 His cardiac arrest incident ultimately led to his retirement from playing professional hockey at the age of 31. Rich remains a member of the Stars organization as a Player Development Coordinator, monitoring the development of drafted Stars’ prospects and assisting in the coordination of Dallas summer Development Camp. Up to 40,000 cardiac arrests occur each year in Canada which equates to one every 13 minutes. The majority (up to 85%) of cardiac arrests occur outside of hospitals, in public places or in homes. Current Survival rates are very low as it is estimated that only 5% of Canadians survive a cardiac arrest outside of a hospital. Fast CPR and AED use within the first minutes doubles the chance of survival which is why awareness and education around this important topic is crucial. The Heart and Stoke Foundation’s mission is to prevent disease, save lives and promote recovery. A volunteer-based health charity, we strive to tangibly improve the health of every Canadian family, every day. ‘Healthy lives free of heart disease and stroke. Together we will make it happen’.